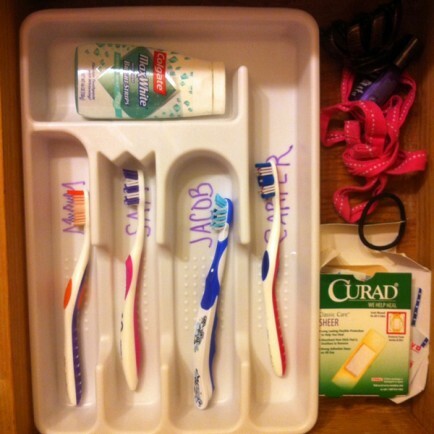 Keep those toothbrushes off the counter and hidden in a drawer with a silverware tray! This is great if you have multiple kids sharing a single bathroom. Hey, this could be fun for kids and adults! Use lollipops in cocktails and other party beverages in place of your traditional drink stirrers. The lollipop will also add a bit of fun color to your drink. 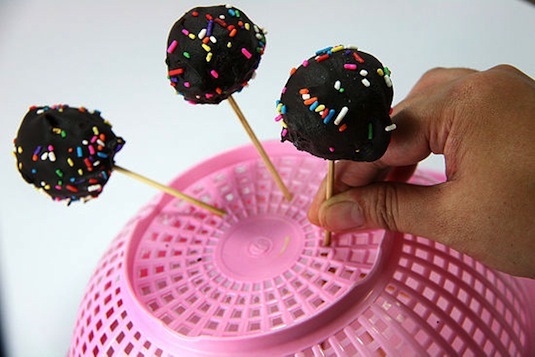 If you’ve ever attempted cake pops, you know the dilemma of keeping them from touching anything while they dry. Insert them into the holes of a colander, and voila! Party on.